Nikki Lamb believes that she has found the secret to a hassle-free house move: Home Exchange. 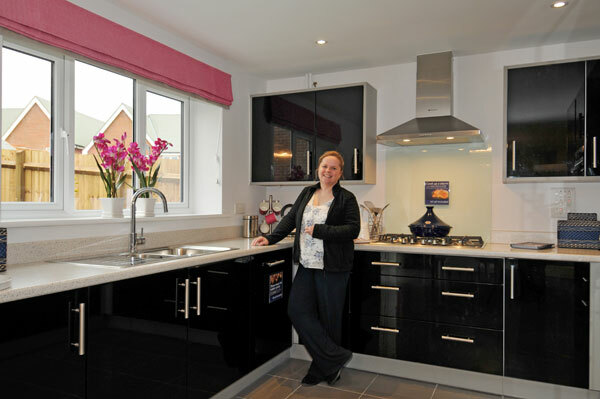 The new Bovis Home owner is settling into her three-bedroom detached house on the Windmill View development in Clanfield, Hampshire, which she recently bought thanks to the housebuilder's popular part exchange scheme. "The whole Home Exchange process was fantastic," Nikki said. "I decided to go down that route because my parents and a few friends had part exchanged and it worked very well for them. "It certainly speeds up the process of buying and selling houses - I never thought moving house could be so painless!" Nikki isn't the only Windmill View resident to have recognised the benefits of 'trading' in their old home for a new property. Currently, fifty per cent of the brand new homes sold there have been bought via Home Exchange. And that means a lot more people now well aware of the benefits that a buying a new home gives you over moving into an older property. Kevin Wilkins, Bovis Homes Group Marketing Director: "Home Exchange has proved to be a popular scheme with our customers because it offers them a degree of certainty and a quick and efficient move. "There is no chain and therefore no reliance on others being able to get their properties sold, while there is the significant benefit of saving thousands of pounds on estate agents' fees."